Carers did not follow "emergency procedures" to ensure a "vulnerable" woman received the correct medical attention before she died, an ombudsman has found. Staff missed a lunchtime visit, did not complete care logs and failed to pass on information between workers in its care of the elderly grandmother. The woman, who suffered from lung disease, died in hospital in July 2017. 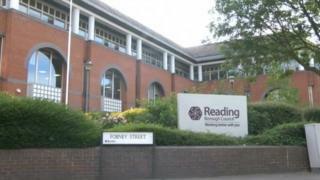 Reading Council was found "at fault for the actions" of its care provider. Michael King, of the local government and social care ombudsman, said the family had been left "not knowing" whether their mother - who was referred to as Mrs B - would have survived "had care workers acted differently". He added: "We cannot say whether earlier medical intervention might have resulted in a better outcome for her." The ombudsman said its investigation found care workers "failed to follow" procedures and alert the woman's GP in a timely manner when she fell ill.
Mr King said it found Reading Borough Council "at fault for the actions of the care provider", Radis Group. The council agreed to apologise to the patient's son and will pay him "£100 to acknowledge the time and trouble he has had in bringing his complaint," the ombudsman added. Carers will also be given training to follow procedures when a person is ill and will be trained to keep accurate and complete records.